It is incredible when companies like Silicon Valley Bank (SVB) use their platform to be part of the solution. 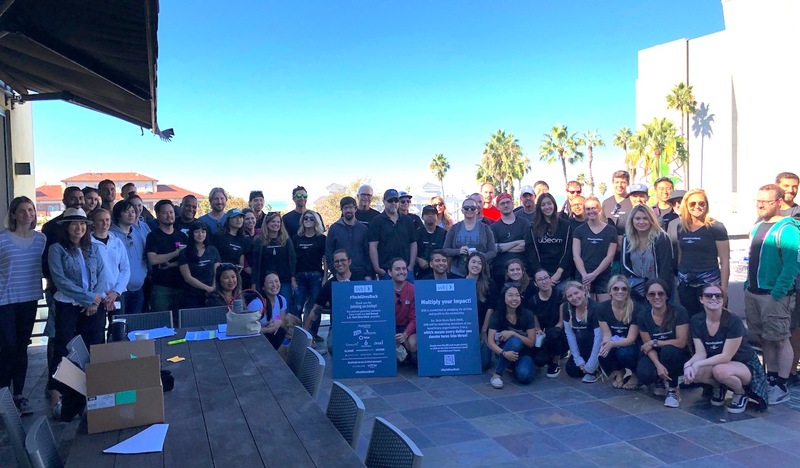 For this year’s event, they reached out to their tech-based customers and partners to participate in a beach cleanup and education session that we helped organize. It was wonderful to see over 100 people from 20 local companies showed up for duty! As a lead-in to the beach cleanup, we screened the short version of the film A Plastic Ocean and discussed solutions that all can take action on. 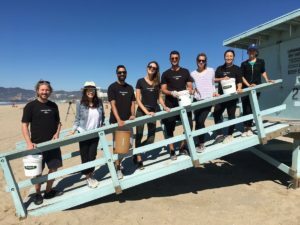 For the cleanup, we collected over 50 buckets of trash on Santa Monica beach – that’s about 200 lbs/90kg! It was incredible that we were able to clean that much trash given that we got started after the city had already raked the beaches. Most people were shocked that so much trash is hidden in the sand. As often the case with the oceans, from a distance the beach looked relatively pristine, but once you look closely, there are small pieces of plastic everywhere. 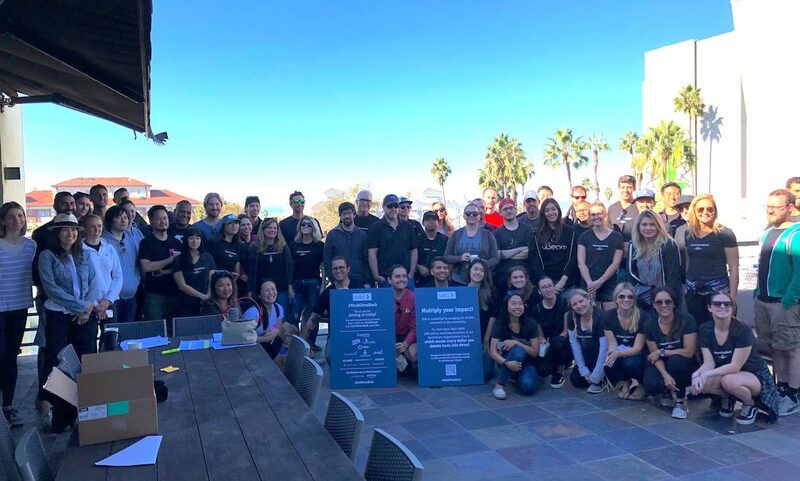 We are grateful to SVB/TechGivesBack for the opportunity to spread the awareness of the impact of plastic pollution and are pleased to have successfully informed and inspired a new group of people to take action.